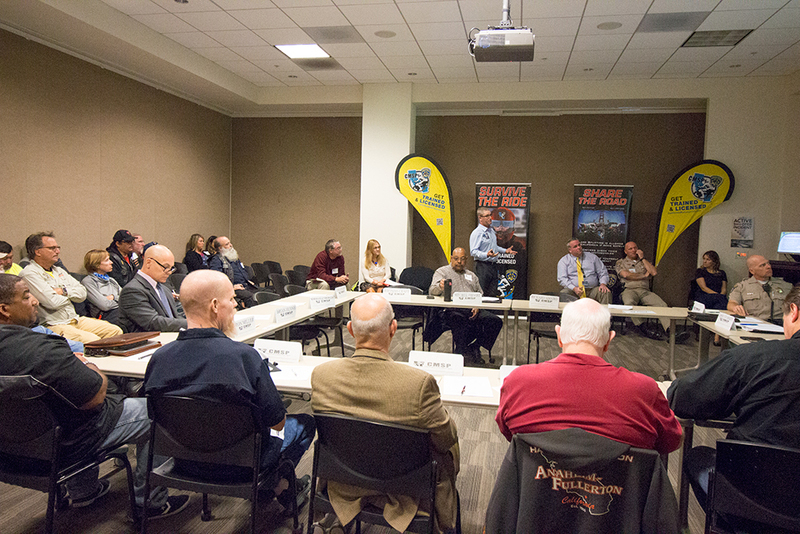 The spring meeting of the California Motorcycle Safety Program (CMSP) Advisory Committee is April 19th, at CHP Headquarters in Sacramento. If you’re not familiar, the CMSP is the state organization, administered by the CHP, responsible for new rider training and other matters of motorcycle safety here in the Golden State. We attend and cover every CMSP meeting. Fish led the ride up to the last meeting in October 2017, and he and An reported on the meeting in our December 2017 issue. Here’s the same old song we sing in the weeks leading up to each meeting: this is incredibly important stuff and rider turnout matters, so as always, the world-famous CityBike Wrecking Crew will be leading a ride to the meeting from Middle Harbor Shoreline Park in Oakland. The Facebook event for the ride is here—please RSVP there if you’ll be joining us. Important: as always, you must email your contact info to cmsp_unit@chp.ca.gov for access. We’ll be leaving at noon sharp to make it the meeting early so get to Middle Harbor before noon, with a full tank of gas and an empty bladder, or you’re riding alone. 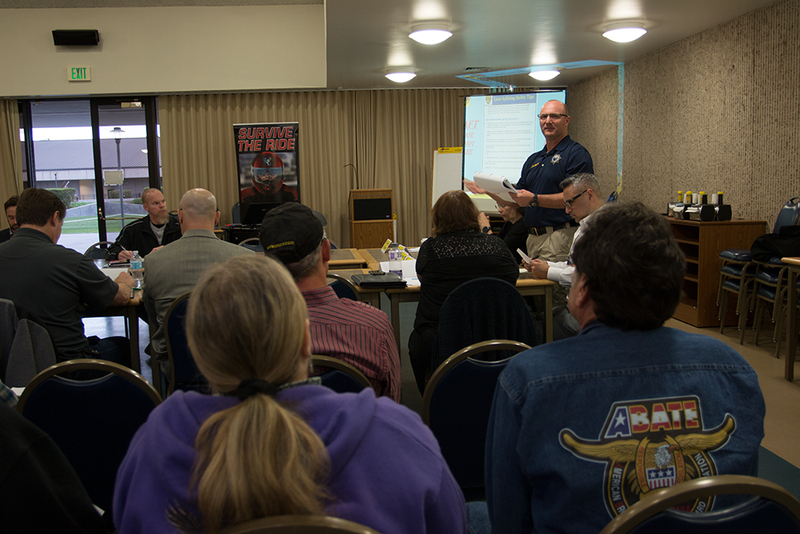 Sergeant Larry Starkey of the CHP’s Motorcycle Safety Unit at the April 2017 CMSP Advisory Committee meeting. Lee Parks gives an update on new rider training at the October 2016 CMSP Advisory Committee meeting at CHP headquarters in Sacramento.